Moscow (AFP) - Russia has been hunting a mysterious gang that has terrorised Moscow motorists in recent months with a series of murders resembling the violent video game Grand Theft Auto. The gang -- swiftly dubbed the GTA gang by Russian media after the video game that involves scoring points for murders -- is believed to have killed some 15 people. In the dead of night, the gang members placed metal spikes on roads just outside Moscow to burst the tyres of passing cars, then ruthlessly gunned down their drivers and disappeared. Among their victims were a policeman, a senior banker, and even a former dancer from a famous folk dancing troupe. In a sign of how seriously the crimes are being treated, the police have teamed up with the FSB security agency, the successor to the KGB, to tackle the murders and President Vladimir Putin has gotten personally involved. "Essentially, this crime is terrorist by nature," Putin told Interior Minister Vladimir Kolokoltsev late last week. "I know you are working together with the security services, with the FSB. I hope you will see this through." Kolokoltsev reported to Putin after law enforcement agencies reportedly caught several members of the gang, and the Russian strongman commended police for "solving" the crime. But investigators and police have been unusually tight-lipped about the case, and the vast mystery shrouding the crimes and the hunt for the attackers has bred a wealth of eyebrow-raising theories. Government newspaper Rossiiskaya Gazeta, citing law enforcement sources, said the gang gunned people down "not for money." The gang calls itself "jaamat" (group in Arabic) and is on a mission to hunt down "infidels," said the government mouthpiece. According to another popular version, the attackers are militants affiliated with Islamists who are using the roads around Moscow as a training ground to prepare to join their cause in Syria or elsewhere. Vladimir Zhirinovsky, the leader of the ultra-nationalist Liberal Democratic Party, pointed the finger at Ukrainians who are fighting a Moscow-backed separatist uprising -- and, the West and Kiev say, Russian troops -- in eastern Ukraine. "This is the work of professional subversive elements from Ukraine. They are taking revenge on us," said Zhirinovsky. Andrei Soldatov, the founder of Agentura.ru website that tracks the security services, said the case seemed utterly bizarre. "There are too many sensationalist leads -- Ukrainians, Islamists," he told AFP. "These are so easy to use for propaganda purposes." After refusing to comment for days, the Investigative Committee, which reports directly to Putin, broke its silence on Wednesday, saying it had already arrested the first suspects. One of the gang leaders put up armed resistance and was killed, the Investigative Committee said in a statement, referring to the gang as the "so-called GTA." "Investigators established that when killing people, gang members were guided only by motives of profit, stealing their victims' money," it said. Investigators said that "the hypothesis that members of the gang were mimicking the GTA computer game has not been proven." The arrests apparently came as part of a major operation in which law enforcement agencies rounded up a group of guest workers from Central Asia last week. 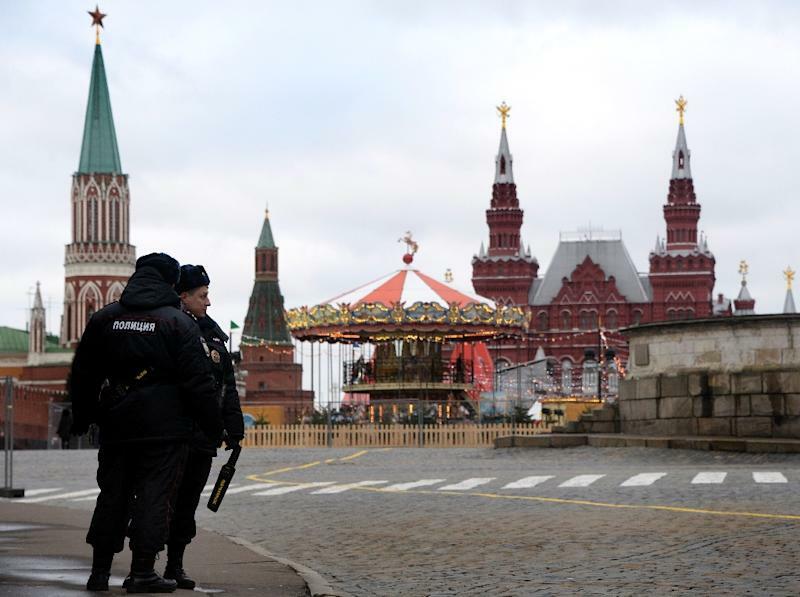 According to law enforcement leaks reported in Russian media, the suspected ringleader of the gang was shot dead near Moscow as he tried to attack police with a hand grenade. In the latest twist, investigators said Thursday that one of the ringleaders had rented a house from a senior official in the prosecutor-general's office. A huge cache of arms and ammunition are believed to have been recovered from the house. Political analyst Alexei Makarkin chalked up the secrecy surrounding the case to its extreme sensitivity. "This case is explosive," Makarkin told AFP. "The authorities will do anything to avoid ethnic clashes. These can be exploited by ultra-right nationalists to call for the persecution of migrants." Social tensions have risen dramatically in Russia this year, fuelled by a Moscow-backed separatist uprising in Ukraine, Western sanctions and growing unemployment. Putin has repeatedly slammed attempts to inflame nationalist sentiments, evoking the country’s multi-ethnic, multi-confessional history. Many insist the investigators have detained the wrong people, or are not telling the entire story. A group of volunteer vigilantes -- some armed with handguns -- have organised regular patrols along the roads near Moscow in a bid to nab the killers. Opposition newspaper Novaya Gazeta, seen as a thorn in the Kremlin's side, urged its readers to help solve the crime. Sergei Kanev, a journalist investigating the gang for Novaya Gazeta, said he found the investigators' statements puzzling. "It was said before the bandits had not been taking their victims' belongings," he told AFP in written comments. "I still believe that the GTA gang is at large," he added. "People, you must be vigilant."